Lowel Rifa-lite now comes in four models: Rifa eX 44, Rifa eX 55, Rifa eX 66, and Rifa eX88. 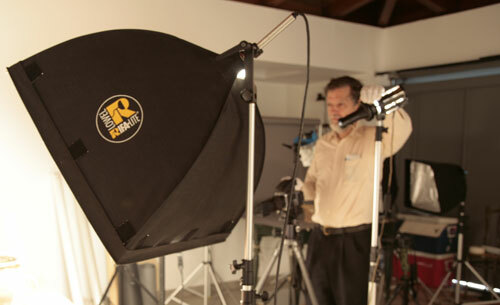 Lowel Rifa-lite kits offer 300 to 750 watt power but in a self-contained soft-box. Lowel Rifa Kits eX (eXchange System) 66.
and Rifa eX88 (up to 1000 watts). 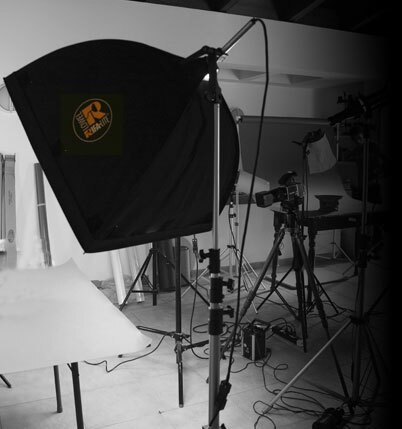 Nowadays you can buy cheap Chinese-made photography studio products. If they are like most other Chinese products, they fall apart quickly. The 750 watt Lowel Rifa-lites that I have are probably over ten years old. We are still using them to photograph Maya artifacts in Guatemala. We take them frequently to on-site photo shoots. No Lowel Rifa-lite has ever broken. The design and workmanship is excellent. So far we do not have any cheap photo studio products made in China. I prefer photography equipment products that hold up to being taken around to museums and other locations. You can see Lowel lighting at PhotoPlus East trade show in New York, or of course at leading camera stores nationwide, or on their Lowel.com web site. 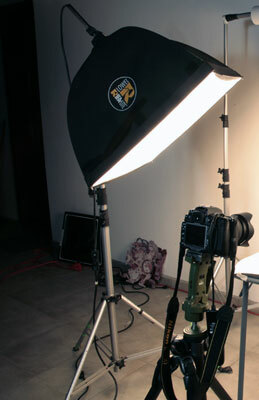 We also use Lowel Tota-lights (for over 30 years), Lowel DP, and Lowel Omni-lights. So far we don’t have experience with fluorescent lighting from Lowel: they make Scandles, FLuo-tec, and Caselite. Nicholas Hellmuth using the Lowel Rifa-lite. This is in Guatemala City. First posted May 15, 2008.